The 3M Hire Our Heroes 500 during 2018 SEMA Show raised funds to support scholarships and tool grants to military veterans and their families. When the tire smoke cleared and the final results tallied, Gary Boesel, owner of CARSTAR Alpine and CARSTAR Jordan Road took home the top honors with a fast time of 153.87 in the 3M Hire Our Heroes 500, outpacing representatives from top collision repair companies and industry partners. 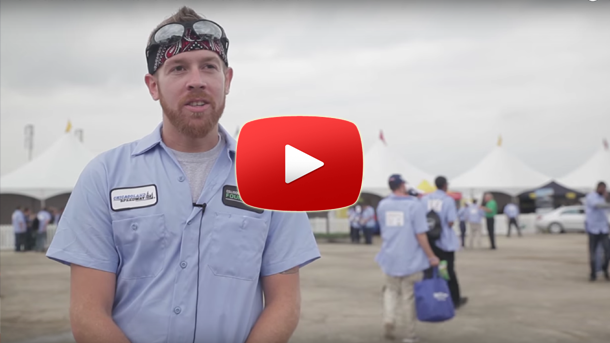 3M Automotive Aftermarket Division, along with the Collision Repair Education Foundation, put its effort to provide collision repair education opportunities for military members into high gear this year, hosting the 3M Hire Our Heroes 500 at Las Vegas Motor Speedway. 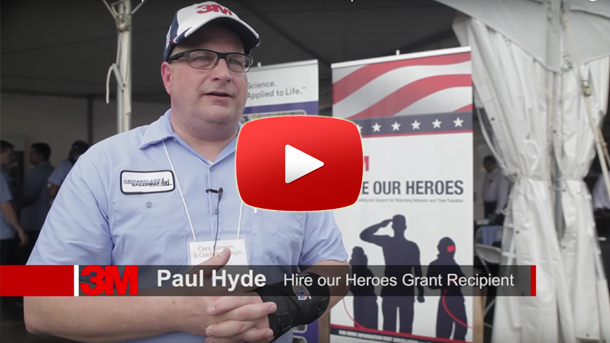 This year’s program raised more than $150,000 for the 3M Hire Our Heroes program, which provides scholarships and tool grants for military members who want to enter the collision repair industry. All donations for the 3M Hire Our Heroes 500 went to the 3M Hire Our Heroes scholarship fund. 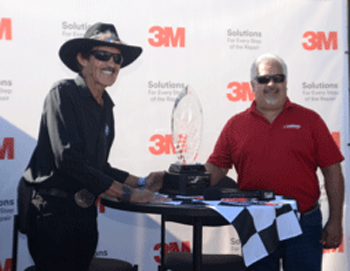 Richard Petty (l) presents Gary Boesel with the 3M Hire Our Heroes 500 Trophy at SEMA. On Tuesday, October 30 during the 2018 SEMA Show, representatives from top MSO and independent collision repair companies industry partners competed in NASCAR stock cars from the NASCAR Racing Experience at Las Vegas Motor Speedway for bragging rights as the fastest collision repair professional in the industry. Legendary automotive designer Chip Foose waved the green flag for the field. The winner was presented the race trophy by NASCAR Hall of Fame member Richard Petty on Wednesday, October 31, in the 3M Automotive Aftermarket Division outside booth at SEMA. Companies that competed in the race included: CARSTAR, Gerber Collision & Glass, Auto Body Evolution, Lindsay Collision Centers, Brandywine Coach Works, Skeeter’s Body Shop, Caliber Collision, Fix Auto, Berkshire Hathaway Automotive/English Color and Supply, Certified Collision Group, CARSTAR Jordon Road/CARSTAR Alpine, Garmat and Enterprise Rent-a-Car. Each participant generously donated to have a car in the field. All proceeds benefit the 3M Hire Our Heroes program. The partners in the 3M Hire Our Heroes 500 included 3M Commercial Solutions Division, which provided the graphic film for the cars, TriMaxx Graphics, which printed the film, Graphix GearWerks handled the installation, and NASCAR Racing Experience provided the race cars and managed the on-track event. This is the sixth year that 3M has partnered with the Collision Repair Education Foundation in support of our industry and our nation’s veterans. Since 2013, the 3M Hire Our Heroes program has generated more than $1.2 million to be used toward scholarships and tool grants for military veterans and their family members. Nearly 330 military veterans and their families have already received scholarships and grants. If you prefer, you can mail your donation to Collision Repair Education Foundation, 5125 Trillium Boulevard, Hoffman Estates, Illinois 60192. If sending a check, be sure to identify “Hire our Heroes” in the memo section of the check. The Assabet Valley Regional Technical High School in Marlborough, Mass. held their transportation career fair in conjunction with the Collision Repair Education Foundation on April 26. Check out the video, embedded below, that they produced about the event. Boston High School & College Transportation Career Fair 2018 from Assabet TV on Vimeo. The future of the collision industry is in your hands, and you can make an enormous difference. It’s time for us to work together to achieve our shared vision and goals – to spearhead a new era of excellence in our industry. With your help, we can make it happen. Your gift to the Collision Repair Education Foundation is an investment in tomorrow’s repair technicians, estimators, researchers, trainers, salespeople, managers, and owners. Your donation has the potential to inspire the talented young men and women who represent the future of our industry. 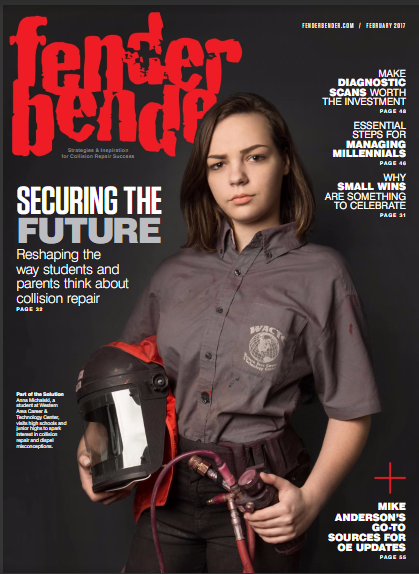 As we face the challenges of a critical shortage in qualified entry-level collision technicians, there’s never been a better time to give to the Collision Repair Education Foundation. Join us today in investing in our industry’s shared values. Your generosity will benefit not only today’s and tomorrow’s students, but also the businesses – both local and nationwide – that depend upon collision industry schools to prepare entry-level employees of the highest caliber. Together, we will fuel the future of the collision industry. To speak with someone from the Collision Repair Education Foundation regarding potential support, or make a donation over the phone please contact: Director of Development Brandon Eckenrode at 847-463-5244.